FOISIL First Public Lecture Inviting Mufti Ismail Menk in Sierra Leone! Today is a historic day in the history of FOISL. It is bearly 2 months ago; we ended another successful national Quranic memorization competition . We are here today for another official launching but this time not our usual Quran Memorization Competition but for FOISL first public lecture which is part of the memorandum of Association of the foundation which is to ensure the pursuance of the Islamic faith to its elastic limits, otherwise within the framework of theoritical, practical and conventional wisdom which will never be at variance with the teachings and traditions of the prophet of Islam-Muhammad (PBUH). Our distinguish guests; FOISL has invited the grand Mufti of Zimbabwe Mufti Ismail Menk for this occasion. Mufti Menk is a leading global Islamic Scholar. He is active in the international Arena and a strong propagator of peace and justice, human rights, speaking against all forms of terrorism. His series of lectures have earned him the highest respect and honour in the world. Mufti Ismail Menk is due to come to Sierra Leone on thursday 21st September at 2:30 pm at the freetown International airport-Lungi on a two days public lecture on Friday 22nd September 2017 at the siaka stevens stadium at 4:30 pm and on Saturday 23rd September 2017 at the Freetown central mosque-Rokupa with the theme: “Divine Inspiration Tour”. We are conscious of the fact that “Mufti Ismail Menk” has lectures that have impacted the lives of many in Sierra leone. It is from such backup that we are asking Sierra Leoneans to come out in large number to welcome Mufti. Our beloved Prophet-Muhammad (PBUH) has advised us about our guest. He said ‘Whoever believes in Allah and the last day; let him honour his guest” (Sahih Bukhari,1442). We believe such an inspiration from our prophet will inspire Sierra Leoneans once more to fulfill their attribute of been a hospitable society. 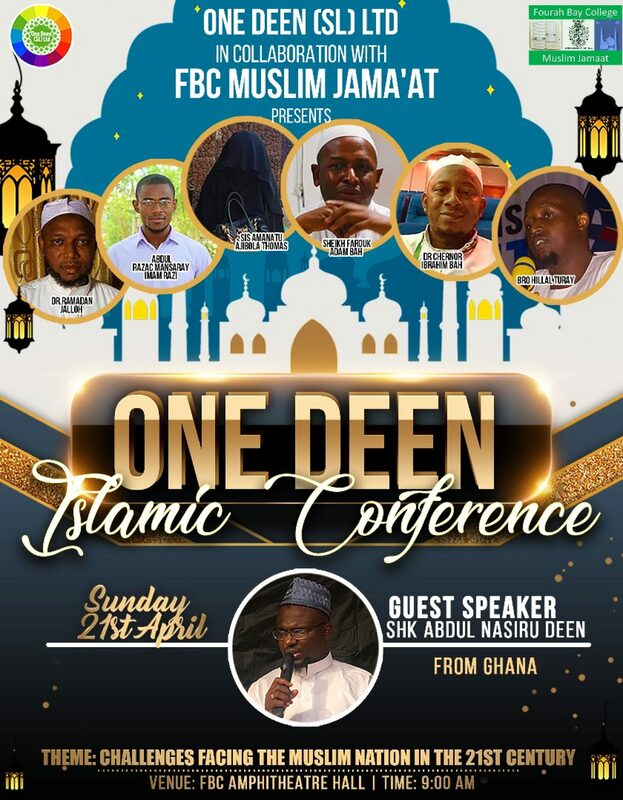 This is a time we should show our love for Islam, a time we should accelerate the teachings of the Holy Prophet Muhammad, a time we should give our moral and financial support to FOISL so that Sierra Leoneans once more will hit the International scene for the propagation of Islam. All of us did it for the Quran and we will In Shaa Allah do it again for the love of Islam.